The season hasn’t opened and we’ve had our first roster move of the year. 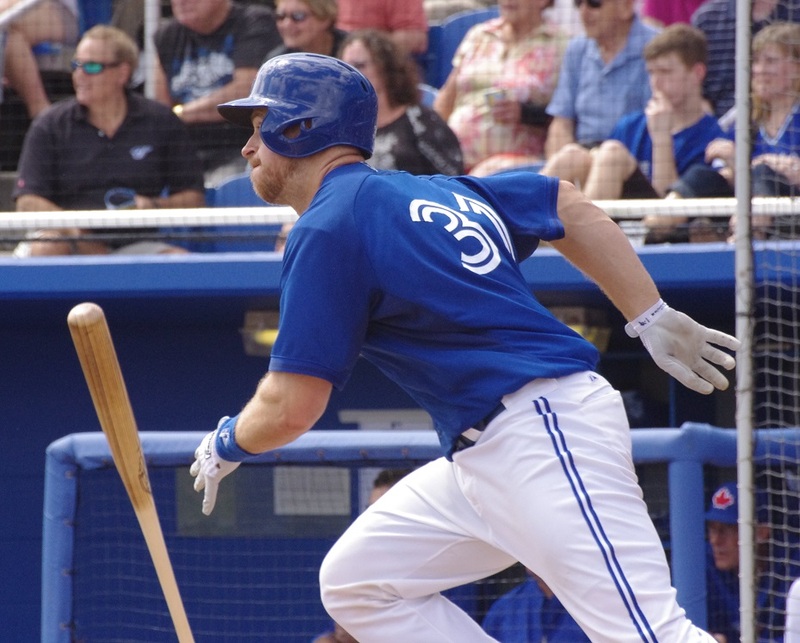 The Blue Jays have placed closer Casey Janssen on the disabled list, retroactive to March 29 (enabling him to come off the DL on April 13) and have recalled Erik Kratz from Buffalo (whether he ever actually arrived in Buffalo or not is unknown). Some denizens of the internet wonder about this move, asking why the Blue Jays would have three catchers on roster. It’s actually a fairly easy question to answer. Kratz is the only player on the Blue Jays’ 40-man roster who is a) a right-handed hitter and b) has shown the ability to really hit at the major league level. The only other options right now would be Kenny Wilson or Kevin Pillar, neither of whom have done as much as Kratz has in the big leagues. I guess if the Blue Jays had known Janssen had to go on the DL they wouldn’t have outrighted Tuiasosopo so quickly. Minor Leaguer, on Twitter, is the only one noting that the Blue Jays probably wouldn’t have waived Matt Tuiasosopo if they had known that they would put Janssen on the DL. With this move, it looks like the Blue Jays are really trying to avoid adding someone to the 40-man roster that they’d have to expose to waivers again when Janssen returns. Janssen’s injury is being called a “left abdominal/lower back strain” and Scott MacArthur has tweeted that Janssen felt the strain on Friday. This brings the bullpen back to seven pitchers and will likely hand Sergio Santos the closer’s role until Janssen returns. Personally, I’m glad that Kratz is back up with the team. Not only does it put him back where I think he belongs (the big league club) but it will temporarily relieve some pressure on the catching ranks. Could this mean that A.J. Jimenez comes up to Buffalo at least to start the season?